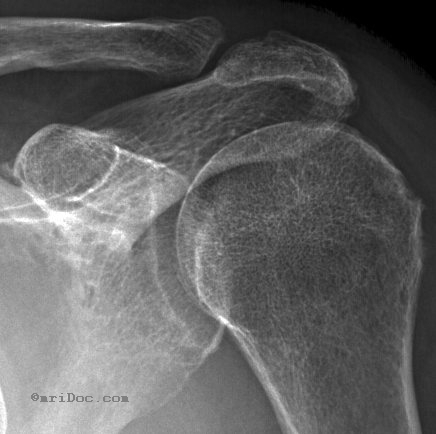 Radiograph demonstrates degenerative changes in the acromion and greater tuberosity of the humerus. 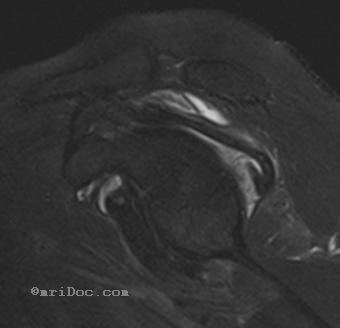 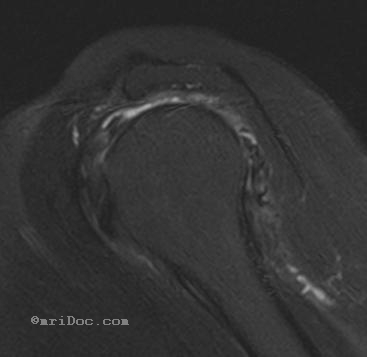 Large rotator cuff tear involves supraspinatus and infraspinatus tendons, which are retracted. 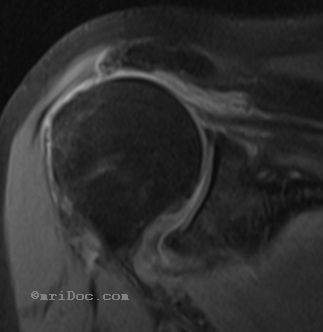 Fluid is seen in the subacromial bursa. 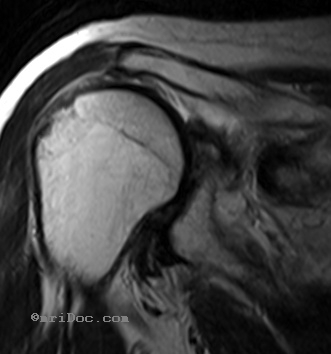 Clinical history is useful in differentiating degenerative from acute post-traumatic tear.